I am of the firm belief that the best things do come in the smallest of packages. I love small, thoughtful gifts that you can stuff in a stocking, attach to the outside of a larger wrapped package, give as a hostess gift at the office party or holiday open house you plan on attending, or tie up in a small bag to give to anyone in your life that you need a last-minute, they-will-love-it gift. Here are some of my favorite gift ideas this holiday season… and they are all less than $25! Who doesn’t love a good bar soap for gifting? Especially one as darling & delicious-smelling as this one! Snowfall Gifting Soap for just $9. Cutest luggage tag ever from Kate Spade for just $11! Perfect for that constant-traveler in your life. Floral Coaster Set, a set of 8 Coasters with 4 different Floral Designs, on sale for $9.80. Regularly priced at $14. Roommate Katie gave these to me as a hostess gift for her Engagement shower and every time I use them, and I use them a lot, I think of her and our friendship. Isn’t that such a sweet reminder for your recipient to think of you? I love little beauty collections. You know small lip colors, lip stains, eye shadows, or even nail polishes? It’s actually how I have discovered some of my favorite beauty products over the years. I love Living Proof dry shampoo! Great products there and a great value. 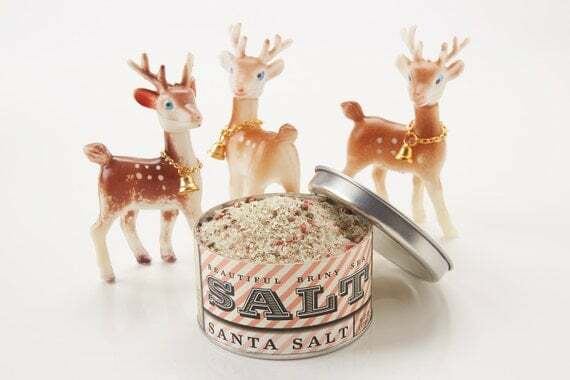 A holiday themed seasoning that is a tasty combination of sea salt with pink peppercorns and dried rosemary. Perfect for poultry, vegetables, potatoes, or even salad dressings. Because, after all, what is the holiday season without a few mugs of classic hot cocoa gathered around the family tree? 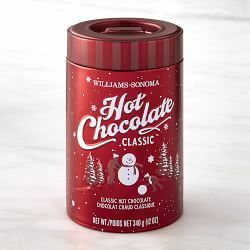 And, Mom has been buying this Hot Cocoa “Mix” for some years now, and the thing is, it’s not even a mix. It’s semi-sweet and bitter-sweet chocolate shavings that you melt in steaming milk of your choice. Froth it up for an extra decadent treat. Pommed Chevron Socks for all the Christmastime lounging. $20 online at Anthro. Gorgeous 2017 Wall Calendar from Rifle Paper Co. now on sale for $18.20! The Paradise Gardens is my favorite, but they are all great. 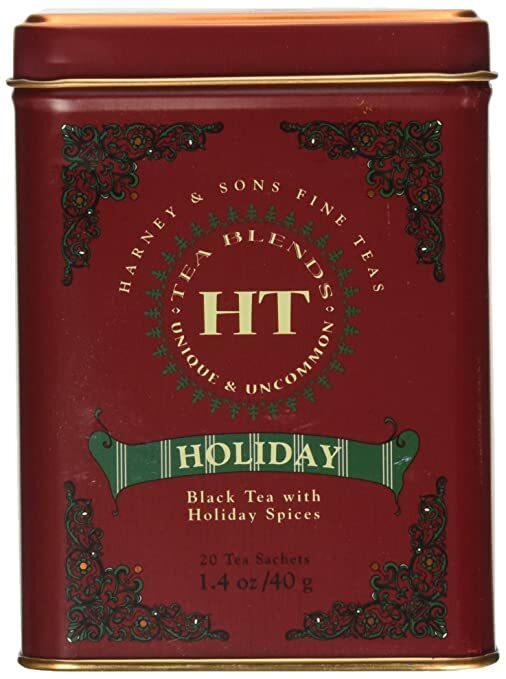 Plus, look how beautiful those tins are! I save mine & I am brainstorming what I want to do with them now. Herb Garden Illustrated Recipe Cards from Rifle Paper Co., a pack of 12 for just $8.40. On sale now! Regularly priced at $12. Aren’t those just beautiful? I love getting recipe cards from people. So personal & thoughtful. For the precious “little ones” in your life, this melamine plate set is just darling! The Animal Friend Divided Plate from Anthropologie is just $12! Utensils are sold separately and they are $5. I love anything with wooded creatures on it! 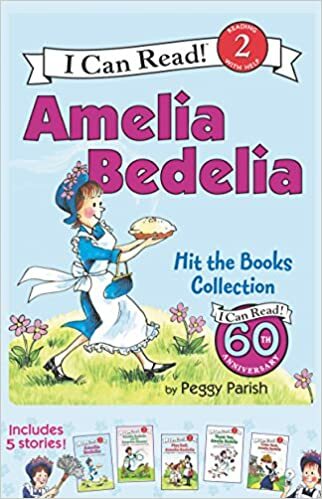 And, some of my favorite books as a child were Amelia Bedelia, the wise-cracking nanny that nothing every went quite right for, but she always had such fun! I loved her! Amelia Bedelia I Can Read! Boxed Set, including 5 different stories, for just $11.59 now on Amazon. Let’s pass on the love of reading to the next generation. Darling little Monogrammed Trinket Dishes are always a classic, little gift. I have one on my bathroom counter for bobby pins, earrings, rings, or anything else small I want to protect while in the bathroom. I love that these are personalized! And just $22! Inductive Bible study is something that has absolutely changed my life, and I cannot think of a list of things I love, or great gifts to give, that did not include a study book. Precept Ministries has so many inductive study books and tools including, but not limited to, this powerful study on Romans for just $9.99. There is a study for virtually any book of the Bible that you want to study. You can’t neglect the one that is loyal & loves you the whole year through! So, I hope this little list of tiny, sweet, & thoughtful gifts gets your wheels turning of some gifts that might be appropriate for those in your life. What you give isn’t as important as the thoughtfulness behind the gift. The spirit of giving is just contagious this time of year! Thank you for these great and creative gift ideas! My pleasure! I had fun putting this list together!